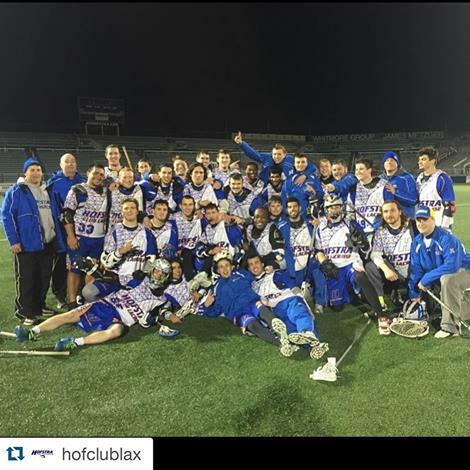 Hofstra Men’s Club Lacrosse defeated local rivals Stony Brook University on Wednesday, April 6th, under the lights at Shuart Stadium by a score of 12-7. The Pride were led by multiple goal games courtesy of Mike Benvenuti, Tyler O’Brien, and Ryan Garry. The result eliminated the Seawolves from the playoff race, while the Pride will continue their pursuit of the playoffs as they travel to Fordham University on Saturday, April 9th for a clash with the Rams. Hofstra Men’s Ultimate Frisbee Club traveled to Princeton, New Jersey on Saturday, April 2nd to compete in the Garden State Invitational Tournament. Despite 35 plus mile per hour winds, the competition went ahead, and Saturday resulted in some tough losses for the Flying Dutchmen against Catholic University, Rutgers University, and Millersville University. Seeking redemption, the Pride came out strong on Sunday, and their efforts did not go unrewarded, with back to back victories over Stevens Tech and Shenandoah. In the win over Stevens, Tae Kim had a beautiful throw to Brian Kelly in the back of the end zone to secure the win for the Pride. Hofstra Women’s Ultimate Club were also battling against the elements and despite some tough results and cancellations due to wind, they ended the weekend with a fantastic 3-0 win over Colgate. 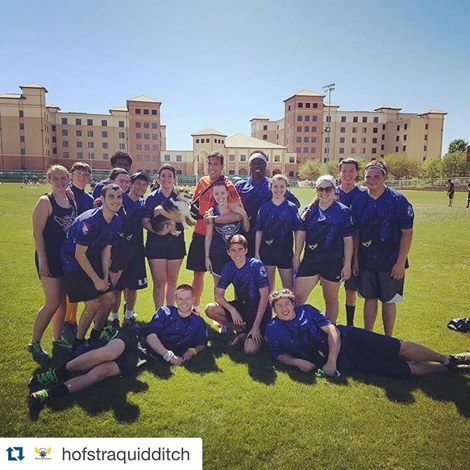 Hofstra Quidditch Club enjoyed their highly anticipated trip to Texas State University for the Consolation Cup from April 2nd-4th. The Flying Dutchmen came away with a 3-3 record, defeating Florida International University, Loyola University, and Harvard University, which resulted in a second seed spot and a ticket to the winners bracket on day two. Unfortunately, the Pride were knocked out in the Sweet 16 of the national tournament, which will be the last for highly regarded seniors Jaime Colon, Elissa Salamy, and Mike Iadevaia. The club will finish off their season with home tournaments on April 30th and May 7th.